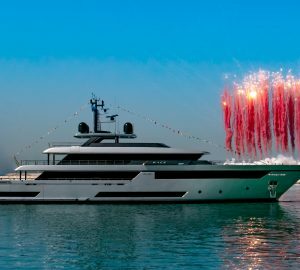 RAPH SEVEN is a 29.90m (98' 1") luxury motor yacht built by the iconic Italian shipyard RIVA, launched charter in 2019. 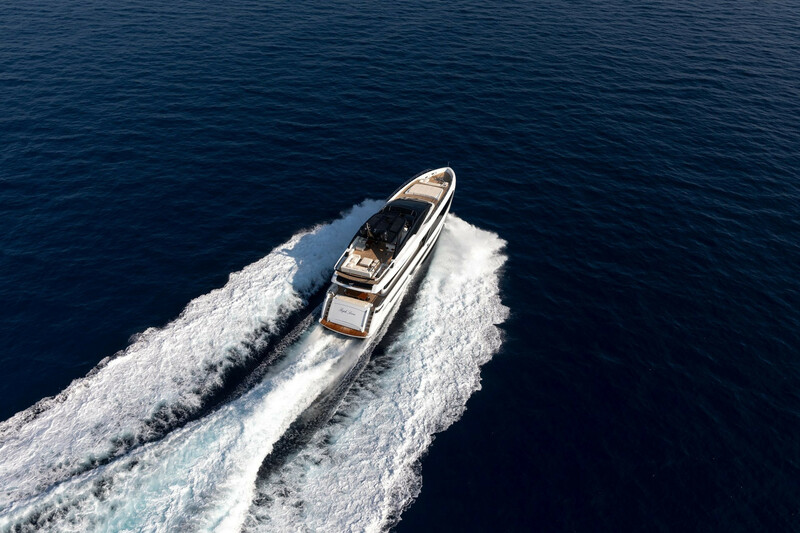 Accommodation aboard this modern vessel spreads over five deluxe cabins, sleeping up to ten guests, while a crew of five offers quality service. 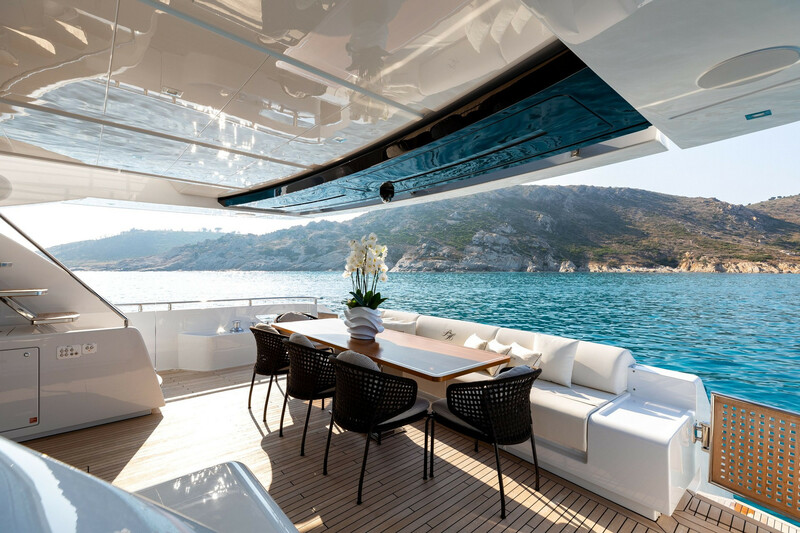 The main deck aft has a sofa along the stern with a raised dining table and free standing chairs for alfresco dining and outdoor lounging. 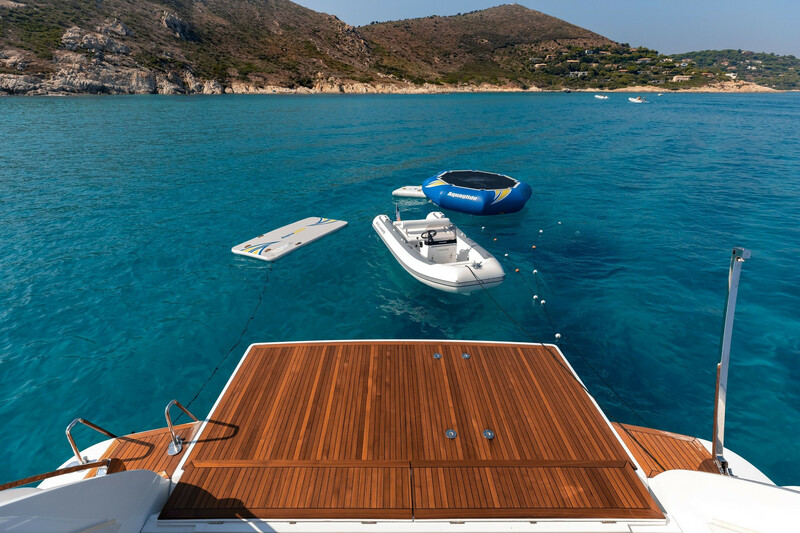 To either side, gates provide additional safety around the stairways down to the lower deck swim platform, which can be used as an additional sunbathing area and for easy access to the tender. 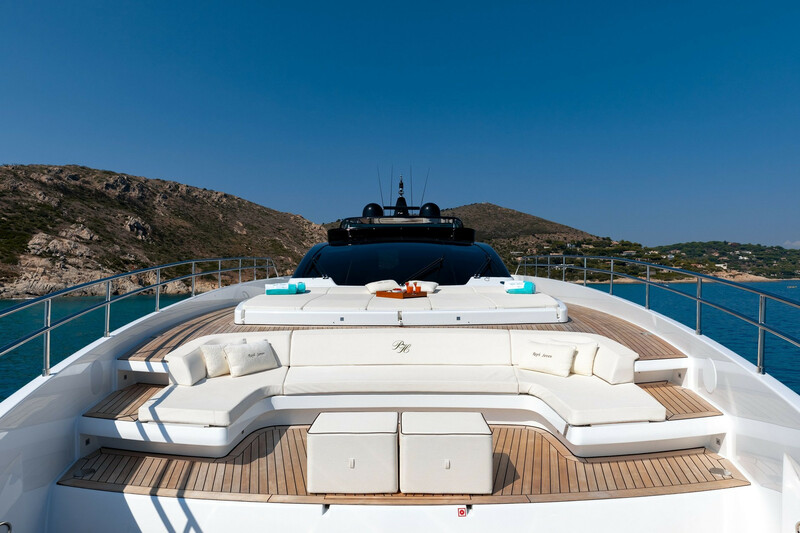 On the foredeck there is a large spread of sunpads in front of the raised pilothouse. 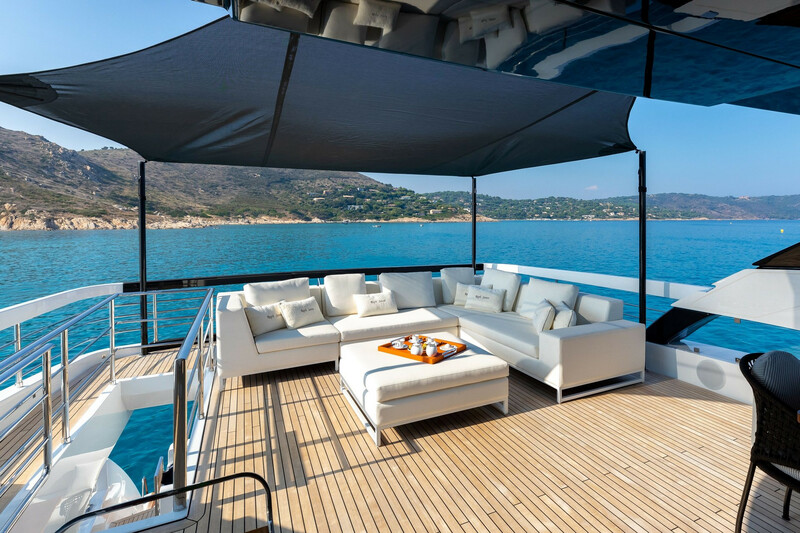 A large crescent sofa is placed down the steps farther forward on the bow, and the entire area can be covered with a canvas shade. 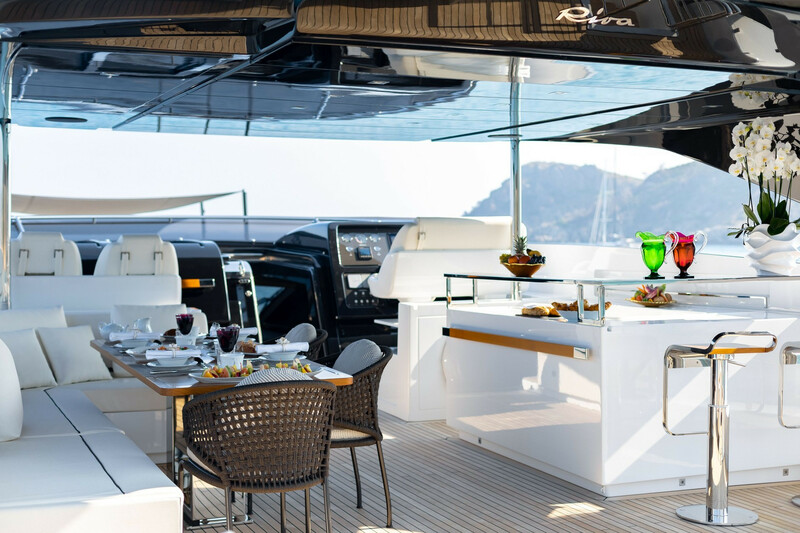 The flybridge has an extensive area dedicated to guest dining and lounging, with the area tow the stern furnished with sofas and a drinks table for the whole group to relax together. 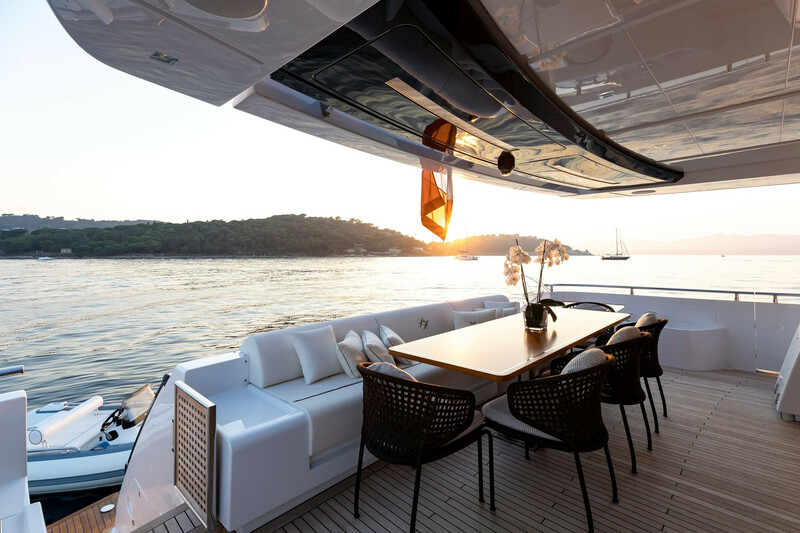 A canvas shade can be erected to extend the shade from the central hardtop, beneath which there is a wet bar that doubles as a breakfast bar with C-shaped seating and free-standing chairs creating an alfresco dining area opposite. 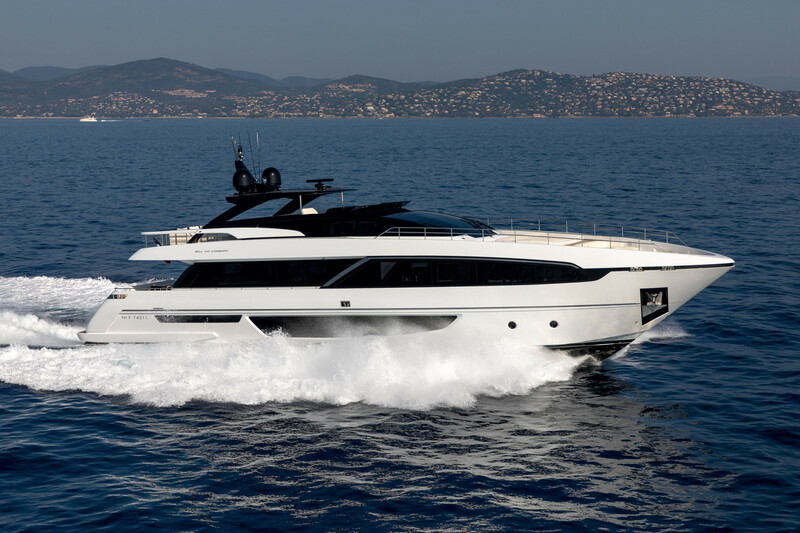 The helm station is forward, and a central passageway leads down into the raised pilothouse. 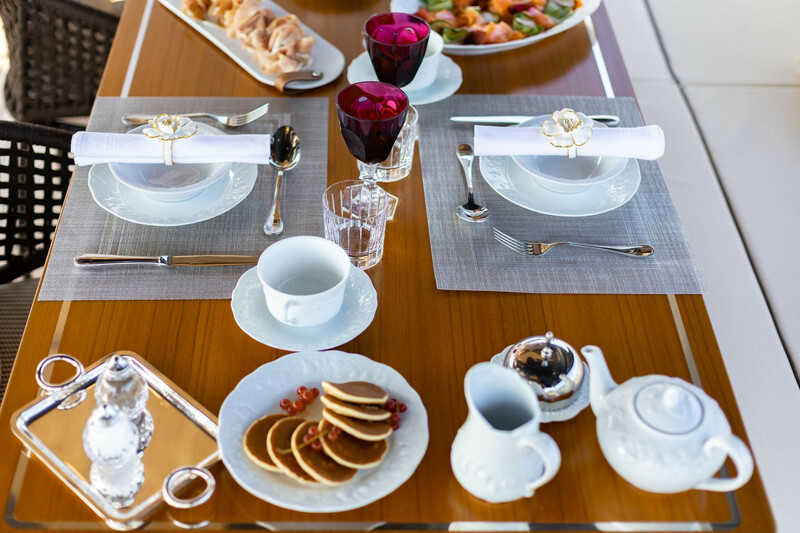 On the lower deck, the layout contains the sophisticated guest cabins, which consist of three VIP staterooms and a single cabin with room for a Pullman berth. 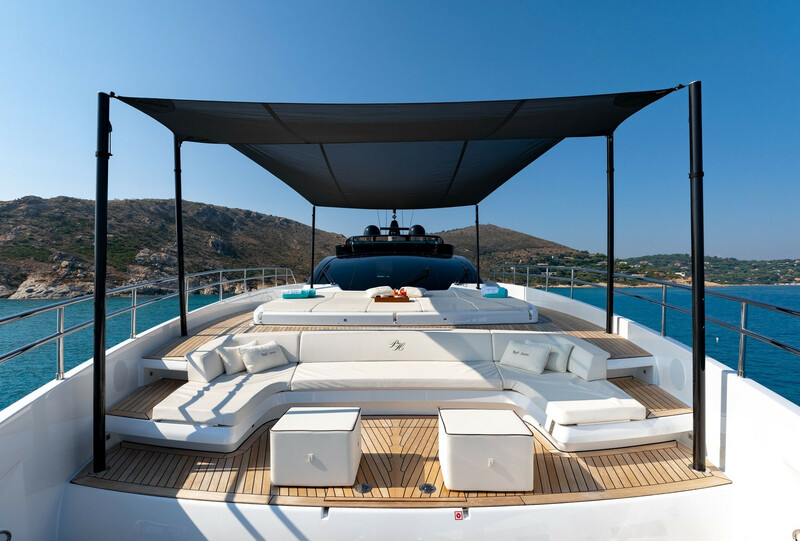 The crew accommodation, engine room and tender garage is also located on this deck, with the Master suite placed on the main deck forward. The main salon and formal dining area uses an open-plan layout the places the latter area forward and seats up to six guests in understated elegance. 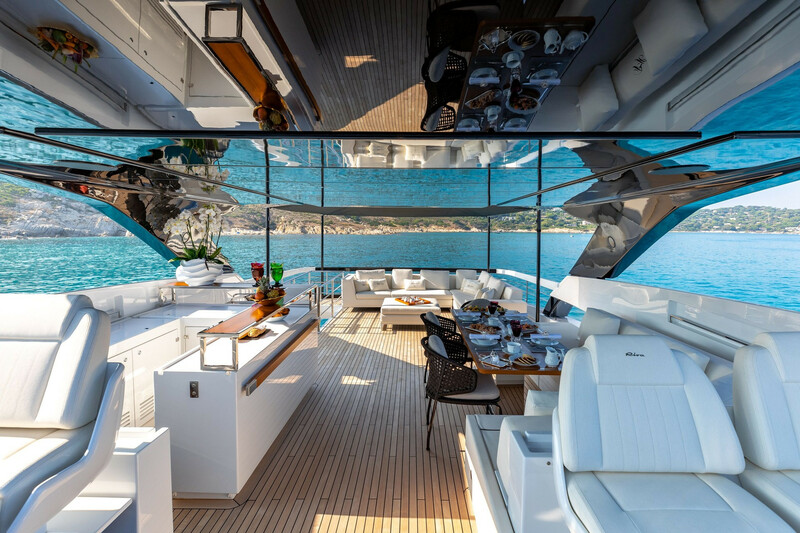 Glass sliding doors to port open out onto a side terrace for excellent views and a greater connection to the local environment with all the benefits of indoor living. 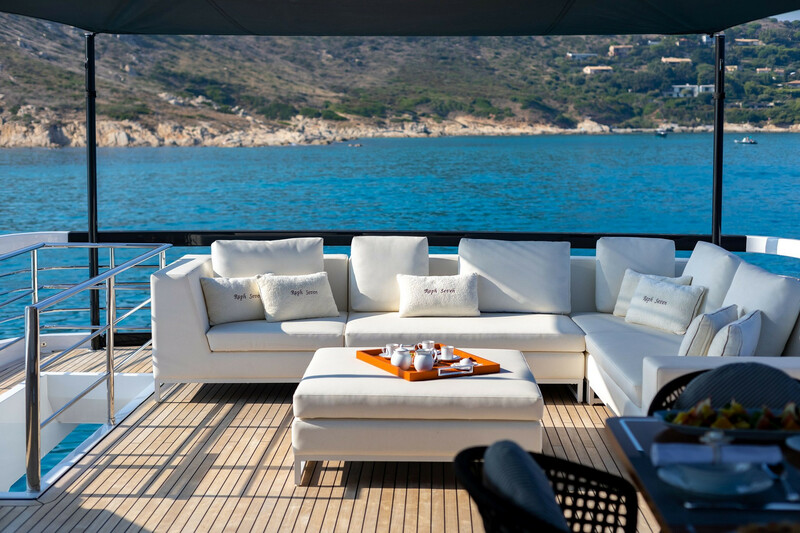 The lounge to the aft places two large sofas together to create a cosy corner, with a large coffee table and a piano to the aft for live entertainment. To port, a widescreen TV drops down from the ceiling for film entertainment. 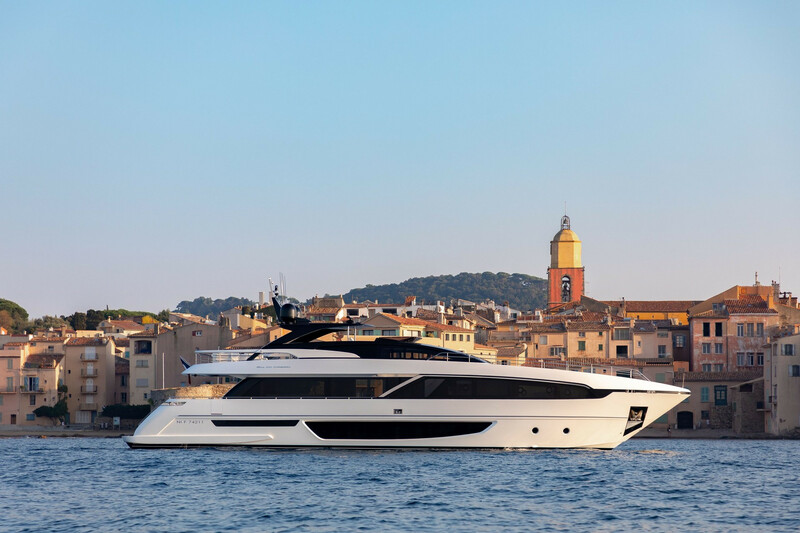 MTU 16V 2000 M96 engines produce a top speed of 26 knots and a cruising speed of 22 knots. 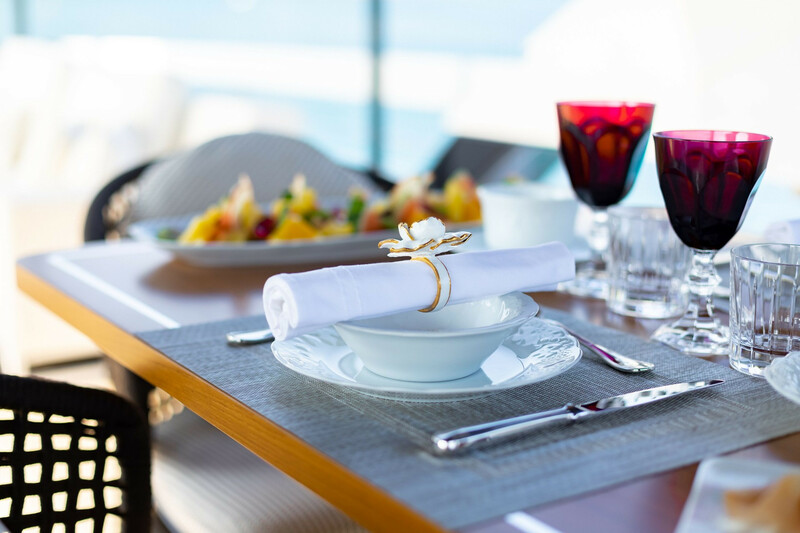 Accommodation is provided for up to ten charter guests in five guest cabins. There are three VIP suites and one single cabin with a single bed and one foldout bed of a regular size (larger than standard Pullman). 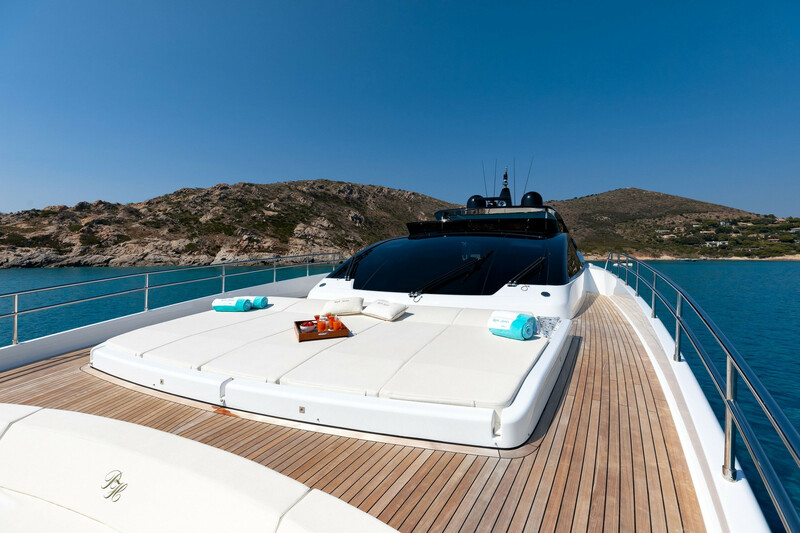 The main deck is home to a spacious master suite.